Jobu Ponders The Captain’s chances at his first MVP award. It’s not very often that a middle infielder gets the chance to win the MVP award. It’s less often that a 38-year old middle infielder gets that same chance. It’s damn near impossible for a 38-year old middle infielder who tops out at 15-20 homers gets a chance. Could we see all three this year? It’s certainly possible. This is my case for The Captain for MVP. MVPs aren’t always won with home runs and RBI, but statistics are definitely involved, and Jeter has put up some pretty gaudy numbers in 2012. Again at 38 years of age, Derek is boasting a slash line of .323/.366/.444 with 15 home runs and 55 RBI through Tuesday. He’s also sitting at 93 runs scored and is leading the American League in base hits with 199. His power numbers are higher than they’ve been in three years, and all around he’s having one of his best seasons of all time. Considering the fact that I don’t think even the most bitter of Red Sox fans thinks he’s on PEDs (although Skip Bayless does), and it’s a pretty amazing resurgence for a guy who looked about done midway through last season. If you’re not a guy who bases his MVP vote on home runs and RBI, then Derek has MVP numbers (not that his power numbers are really low, he’s just not a 40 HR guy). If you really define the middle word in the name of the award, then I challenge you guys to find more than a handful of guys who have been as valuable, or more valuable to their respective teams in 2012 than has The Captain. I know this is one of those things where, you see the numbers, but you don’t really see the value a player has unless you’re watching the games in person, so I bet people in different cities can and will make the same argument about their favorite players, but in my opinion, Mr. November really has been Mr. 2012 this year. The Yankees have been riddled with injuries in their offense this season. Brett Gardner, who was supposed to be their every day left fielder this year, has played nine games. Alex Rodríguez missed almost two months with a broken hand. Mark Teixeira was addled by a respiratory infection early in the year and has missed most of the last month with a calf injury (he might not return before the end of the season). Nick Swisher has even missed a couple of weeks with ailments (although he never went on the DL). All the while, The Captain has acted like one, doing his best to keep this team in first place. While the Yankees have completely blown a ten game lead, it certainly not falling on the captain’s shoulders. 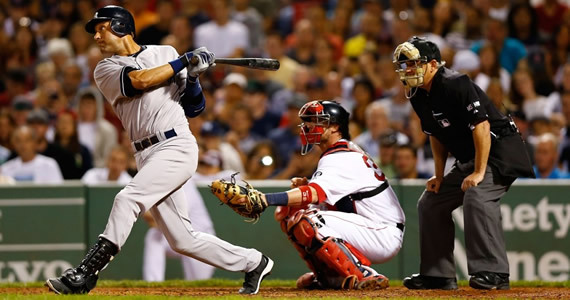 In a second half where the Yankees are barely over .500, Jeter has hit .342/.383/.490. That’s what a captain should do. He’s trying to keep the ship afloat while the Yankees wait for reinforcements for a pitching staff that has been just as troubled by injuries and ineffectiveness as has the Offense. I also think his age should be taken into consideration when it comes time to vote. This is a guy who, at 38, is playing as well as he has in his entire career. That doesn’t happen too often (Paul Molitor hit .341/.390/.441 with 225 hits at age 39 in 1996), and it should be recognized. 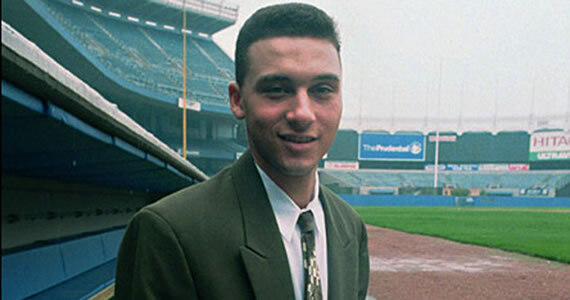 It’s even harder to be this valuable at Jeter’s age than it is for a player in his prime. Not that this should mean anything, but Jeter probably deserves an MVP more than anyone in this league (except maybe Miguel Cabrera, but that’s another story). He was robbed in 2006 when the award was given to Justin Morneau instead. He probably would have won at least one more in his early years, if it wasn’t for all the steroids being done around the league back then too (3rd in 1998). The MVP is the only major award the Captain hasn’t taken home. While he’ll probably tell you himself that he wouldn’t trade in his five World Series Championships for a million MVP awards, I’m sure he’d love to shove that MVP in the faces of everyone who said he was done last June (myself included). 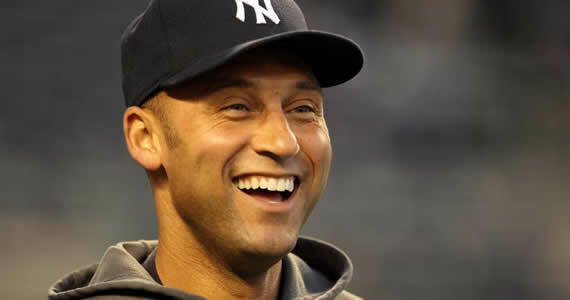 I don’t have a vote for the MVP this year (some day, Jobu will be recognized), I’d give it to Jeter if I did. The baseball writers should too.